There are all sorts of racing wheels, from simple and easy to use controllers to more complex devices, such as carbon fiber steering wheels worth hundreds of dollars. A great variety of accessories exist today, because the needs in the gaming industry have evolved over time. Racing games have split into different categories like kart racing games, open world exploration racing games and motorsport simulators. If you are a true fan of motorsports, accessories like analogue sticks and triggers are obsolete. Modern wheels have a great range of inputs and the fastest players always use wheels. Wheel manufacturers are in fact sponsoring E-sports players. When you reach an optimum speed using a regular game controller, the next step is to get a wheel with pedals. You can gain a few seconds every lap. A force feedback device can help you finish in the top ten of racers worldwide. What Makes a Good Racing Wheel? Analog can be better than digital if you really need full control. This feature is a must. Normal feedback is good, but force feedback is even better. This feature provides a very real sensation that you are actually on the road and face the obstacles that are usually found there. A reliable steering wheel can allow gamers to feel the resistance from the front wheels of the car when turning and also, to feel the rumble strips. It can be helpful to have many buttons on the wheels, because you surely don’t want to reach the keyboard each time you have to change your camera or other settings. By having enough buttons at your disposal, you can save time during a race. Pedals are not available for all devices. But, if they are, they can be very helpful. For those who have room for pedals, two or three of these items can help them have more control. You can be able to accelerate and brake just as in a real car. The third pedal is the clutch. Gear paddles allow you to switch gears just like using a real gearbox. This may not be a must have accessory, but it is surely useful when you want to shift the gears yourself. There are two types of manual gear sticks: simple sticks and H-pattern sticks. The simple type allows you to change gears by the up and down positions, sequentially. If you want more realism and full control, you should definitely use a manual H-pattern stick. This solution from Logitech that was licensed by the series Grand Turismo is the cheapest solution that has force feedback. This model has a basic set of pedals that are not as good of the ones found on expensive models, but they are much better than using a pad. You need some practice and then you will master this device. The adjustment dial can work best with Grand Turismo 5: brake bias and traction control can be changed on the fly. It can also be adjusted in other racing games. There is no problem using this racing wheel on PS3, as it works great in almost all game titles. Everything is configured and detected automatically in the majority of games. For fine-tuning the wheel on the PC, you need to install its software. This will also allow you to save various profiles. A strong force feedback can keep you aware constantly of how the vehicle behaves. But, the force feedback may not be as smooth as the one of expensive models. Changing gears may seem unrealistic, because it uses the small buttons from the back of the rim. Despite its minuses, Logitech Driving Force GT is the best that you can find for a small price. This controller is easy to use and set up, but it may lack the realism provided by high-end devices. In other words this is a budget racing wheel. The G27 is another solution from Logitech, but with powerful and quality features that are meant to provide the best experience for gamers. 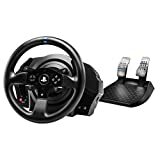 Meant to work for PlayStation 3 and PC, this 11 inch racing wheel can handle a lot of stress, because it is made from high quality materials. This makes it awesome for beginners. In terms of force feedback, the device has two motors for this purpose, making road feel, traction loss and weight shift seem very real. The noise of steering is diminished due to a helical gear system. You can shift gears in six speed steps and there is also a push down reverse gear. Paddle shifters are attached on the back of the device, helping you to keep the hands on the wheel all the time, just like in Formula 1. The finish of this wheel is made of leather and the pedals are made of steel. The wheel also has LED indicators that work with the software to show the player when gears must be shifted. Sixteen programmable buttons are meant to help you change different driving features. This is a handheld racing steering wheel made by two companies: SteelSeries and Ignite Technologies. The high performance of this wheel has determined drivers from Indie 500 and Simracing to test it and use it. The design of this wheel is made in such a way to allow maximum portability. It has no pedals or other components that could make this device a fixed one, so you can take it with you anywhere, plug it into a system and play. The majority of PC games will work with this device without additional configuration. All the controls that a virtual driver may need are on the wheel. The device has a configuration already made for Simraceway. Flexibility is assured and each control can be customized. This device is the best on the market in terms of combining functionality with customization. MOMO is a leading company that provides steering wheels and other accessories for the automotive industry. The company has made a racing wheel design for gamers that can be able to offer a realistic driving experience to the user. The force feedback effects are incredibly realistic for this model. The rotation can be of up to 240 degrees, for better flexibility and maneuverability. You can choose the position of the sequential stick and the pedals are kept in place by a carpet grip mechanism. There are six programmable buttons, paddle shifter and optical sensors that improve the steering. In the package, you will receive the wheel, a power supply cable, a guide for installation and the pedals. 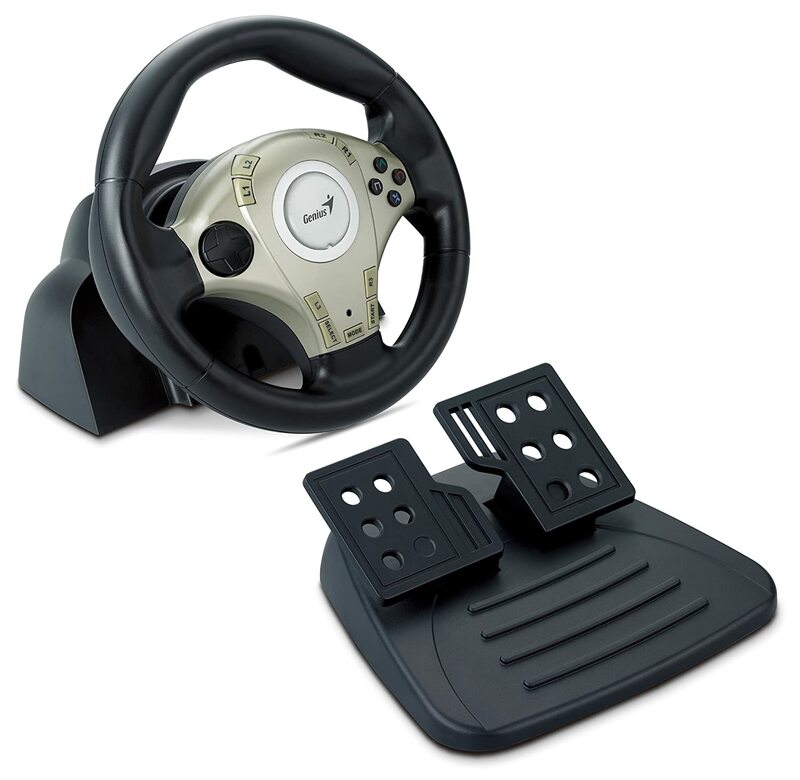 The model T500RS from Thrustmaster is one of the best accessories of this type for PlayStation 3. While Thrustmaster mostly produces budget solutions, this model is an exception. The rim of the device is large and looks as realistic as the one of a real car. If you are a beginner, this wheel may be too much for you, because the force feedback is aggressive and fierce. The paddles meant for shifting are not on the rim, but on the base. Sometimes you may have to take one hand off the wheel to shift gears, which is contrary to the normal functionality of a true racing wheel. The T500RS is an official release of Grand Turismo, just like Logitech Driving Force GT. For the PS3, the product is simple to plug and play. For PC, you need to install the software. The device can be perfect for Grand Turismo 5 and Formula One. If you want to play Formula One optimally, you may also need a Ferrari F1 add-on. This add-on can be acquired for a price of about 180 dollars. The buttons are as realistic as the ones of a Ferrari F1 car. In the base price of 540 dollars, there is no stick included. The stick that is sold separately is called THR8 and costs about 130 dollars. It is worth the money, because you won’t find one more realistic than this. For shifting gears, you can use either sequential modes, or an H-pattern. If you buy the full set, the price would be of around 850 dollars. Even if most people may not afford such a wheel, it can provide the most realistic experience. This is a racing wheel for the Xbox360 that is meant for starters and the price is according to this aspect. Despite this, the EX2 has some features and controllers that usually exist on expensive models. Such features can be: a comfortable grip, feedback and pedals. When you jump through ramps, smash competitors and make hard turns, the wheel will vibrate. This wheel is covered on both sides with a special material that provides stability and grip. The pair of pedals are meant for acceleration and brake and they have a high sensitivity. The functionality and low price make the EX2 a great option for Xbox 360 users. This model is a great alternative to sophisticated devices that have too many controls and settings. If you want a simple but good racing wheel, this one is the best of its kind. 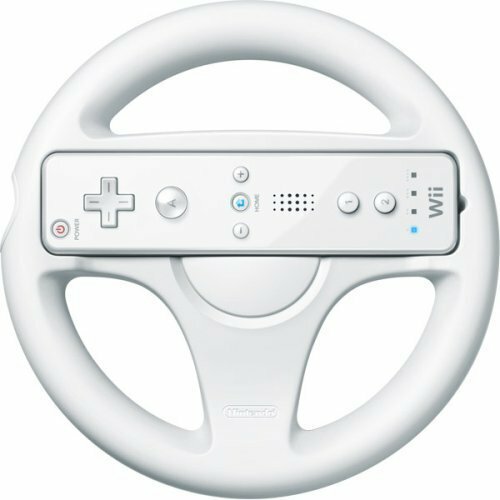 This wheel is not a substitute for a force feedback equipped device, but it is a decent controller that does its job well. There is no input for LB and RB, but the miniaturized buttons perform according to expectations. The green light rings may be too science fiction in the classical Star Wars way, but the left and right triggers have twice the travel that the equivalent joypads may have. While controlling this device, you may feel that the standard 360 controller is a better option. The truth is you need to spend more time with it to adjust to its vague communication with the movement on the road. Sometimes you just don’t feel connected to the road and the movements. Your hands can become tired quickly, unless you lock the elbows into your body. This model is more for users of the Xbox who are still at the fun level and don’t require too much precision or finesse. It is more for those who look for an alternative to the already boring standard controller and want a new approach to driving games. The model has an excellent build quality and the paddles are positioned comfortably. The feeling you get when you use it is that the wheel is solid and has a good grip. The device can rotate 720 degrees, just like the wheel of a real car. The pedals behave and feel very realistic. When you acquire the wheel, you will also get a custom version of Project Gotham Racing 3. The included drivers can work on many other games as well. The wheel performs admirably in Project Gotham Racing 3, especially while driving the F50 GT. Even if this car is the fastest, controlling it with a standard controller can be very hard. In Need for Speed: Carbon, there is a huge difference between using the Xbox controller and using the steering wheel. This can be seen especially when the corners are tight. The conclusion is that Xbox 360 Wireless Steering Wheel is the best that you can acquire for your Xbox if you want to play racing games. Whether you are a beginner or not, it doesn’t matter. Modern games that can be played using a steering wheel, such as Forza or GTA5 are more and more realistic and it would be a pity not to have a good racing wheel to make the experience even better. You simply cannot be fully immersed into a game with just a standard controller. For obtaining an optimum experience with a Logitech racing wheel, you can acquire a wheel stand system. A stand can help you obtain the perfect position between the wheel, shifter and pedals, for having the most realistic experience. The Wheel Stand Pro can provide adjustability and a very fast control for your gaming steering wheels. 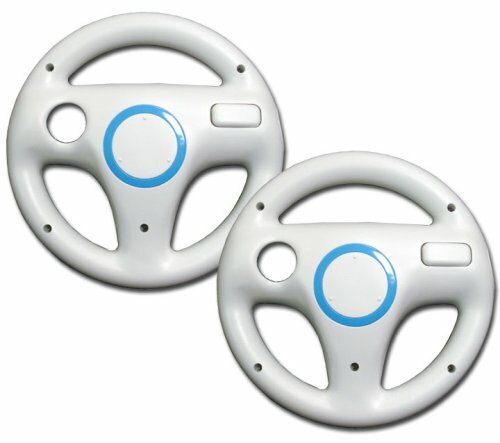 There are many different versions for different gaming steering wheels.